Companies want their customers to engage with company’s content so that they return every day to see company’s blog. 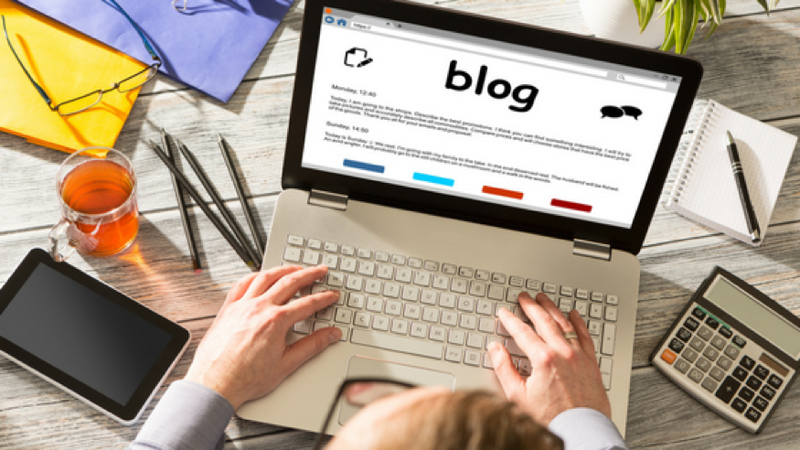 With the help of an engaging blog, you can improve customer loyalty, get people interested in your new products, and promote it with positive word of mouth. These days it is very important that website design of your website should be very attractive and responsive. The website should be optimized for different sizes of computers like the personal computers, laptops, and smartphones because people do not like if a website takes long time in loading or is not properly showing on their devices. Your customer will not return if he or she faces these kinds of issues on your website and remember, a website used for laptop and desktop computer, is not suitable for mobile phone. In order to promote yourself and your products, your post should be unique enough to be shared by your customers, which will increase your exposure to potential customers. Your post should be mainly, a video or an image that customers will find unique and attractive, and will share on social media sites. Customer needs a reason to visit your websites every day so upload new post every day and let them know that you find time for them to inform them every day. Make them subscribe to your blog and make them sign up for your page in order to receive news about the new post as soon as you post it. The only reason customers come to your blog is that they find information that helps them, whenever you are writing a post remember that you are writing for a customer so think how your post will benefit them and what they can do to solve the problem. You can upload a video on your blog where you can tell them the best way of getting the most of your products and services, many customers find difficulties using products properly so they are always looking for these tutorials for guidance. It will stop your customers from switching to others for a product that they can use properly. If you want to assure your customers that your company is best for them then you can do so with the help of their customer stories, experience and success stories with your company. When your customers read another customer’s stories then they trust your company more because these days customers only trust what their peers say about the company. They will come to know, how others got the best out of your product and how their experience was, they will learn from customer stories and reconsider buying from your company. With the help of your blog, you can give your customer latest news in depth by sending emails and notification on their contact. On the blog, you can even have a lengthy two-way conversation that you cannot have with your customers on other platforms. Engaging a customer on your website is very important; if you want loyalty from them and if you want to spread a positive word of mouth on the internet to convince potential customers. In order to get them engaging you should properly build your site; optimized for every platform and then upload attractive but informative content that will help your customers, if you are finding difficulty in writing a content then use content writing services and tell, “Write My Assignment” to them. Jessica Brown is a qualified writer from UK. She is working for a writing agency since 5 years. She assists students in their academic writing especially in their assignments. Jessica loves to read and write blogs in his free time. The Tech War Copyright © 2019.